A report from the Committee on Women in Industry of the Advisory Commission of the Council of National Defense. 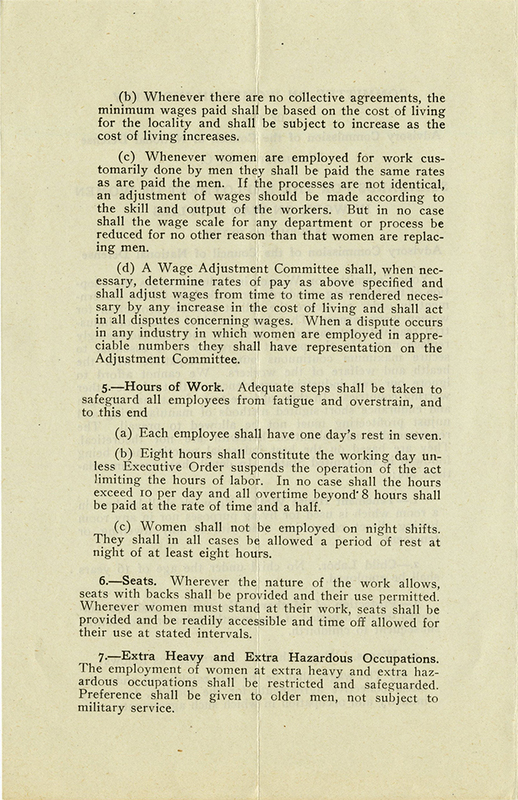 These standards include recommendations on tenement house work, child labor, protection of mothers, wages, hours, seats, extra heavy and extra hazardous occupations, dangerous trades, heavy lifting, and exposure to heat and cold. 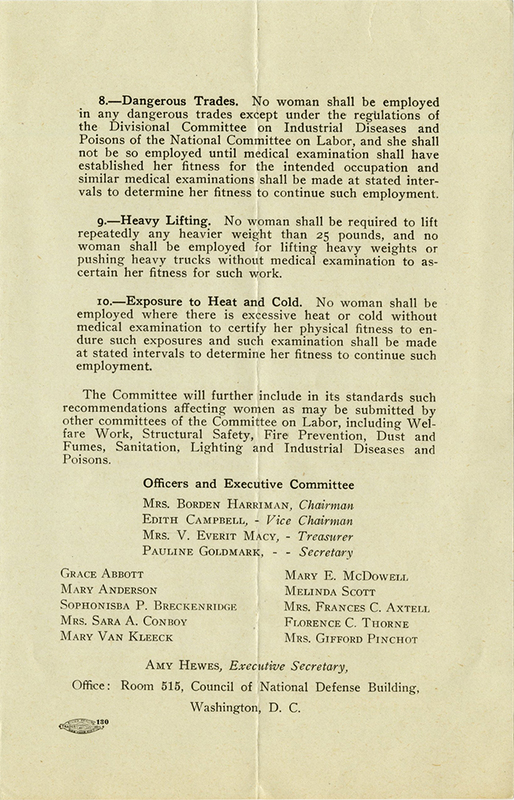 Header: Committee on Women in Industry of the Advisory Commission of the Council of National Defense, Washington, D.C.
"Your Committee on Women in Industry urges the adoption of the following standards for work done for the Government in order to secure the fullest possible protection for women wage-earners." Committee on Women in Industry. Advisory Commission of the Council of National Defense. Committee on Women in Industry. 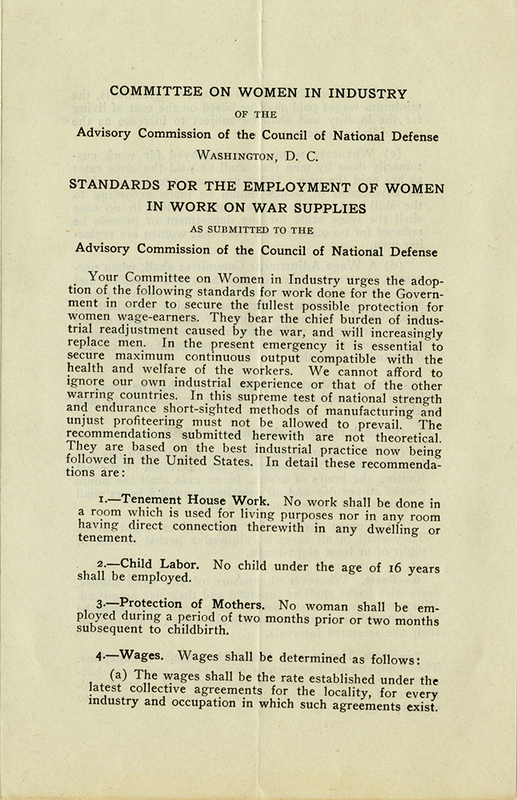 Advisory Commission of the Council of National Defense., “Standards for the Employment of Women in Work on War Supplies as submitted to the Advisory Commission of the Council of National Defense,” Social Welfare History Image Portal, accessed April 26, 2019, https://images.socialwelfare.library.vcu.edu/items/show/85.